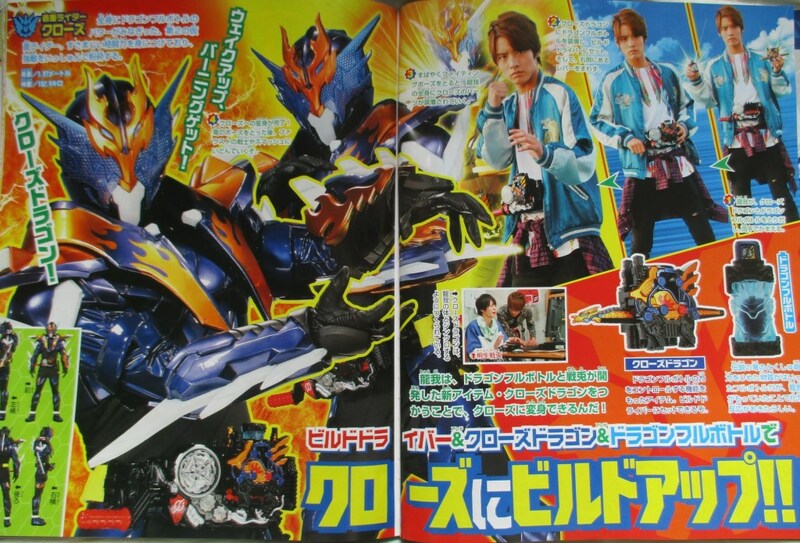 It's Ryuga Banjo's time to shine next month as he will finally have the power and gears to transform into a Kamen Rider! 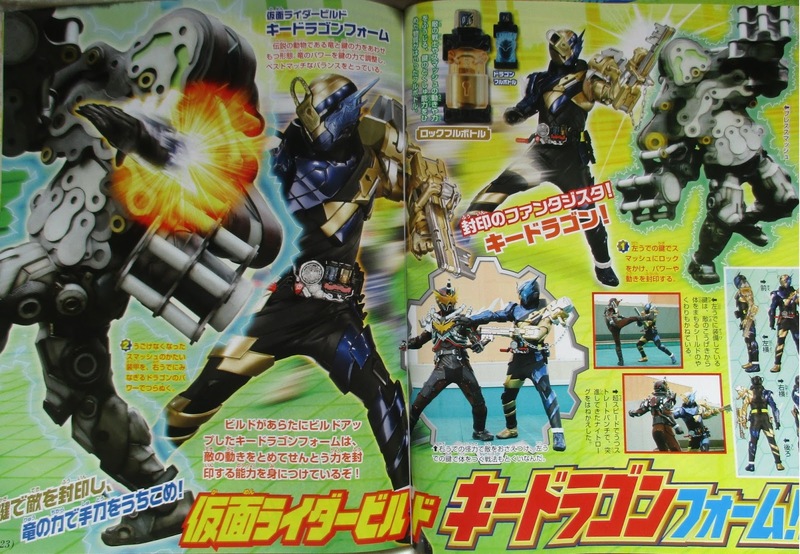 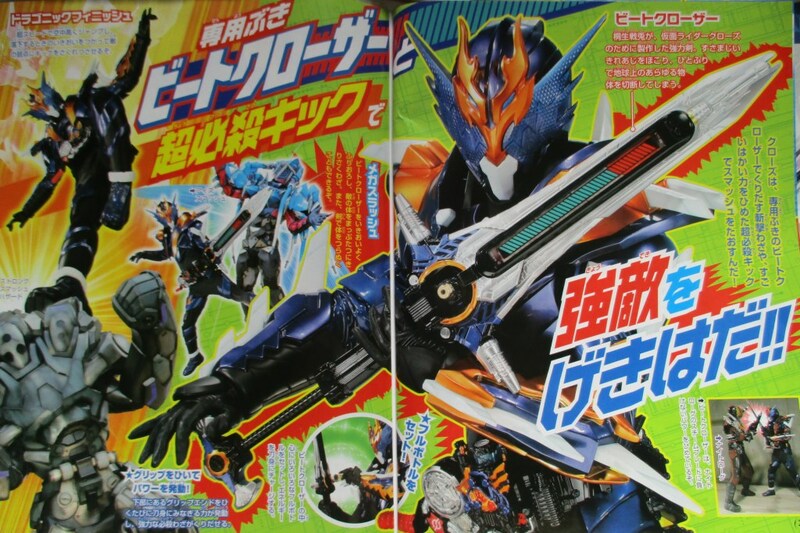 Terebi Magazine scans featuring Kamen Rider Cross-Z and 2 new Best Match forms for Kamen Rider Build! 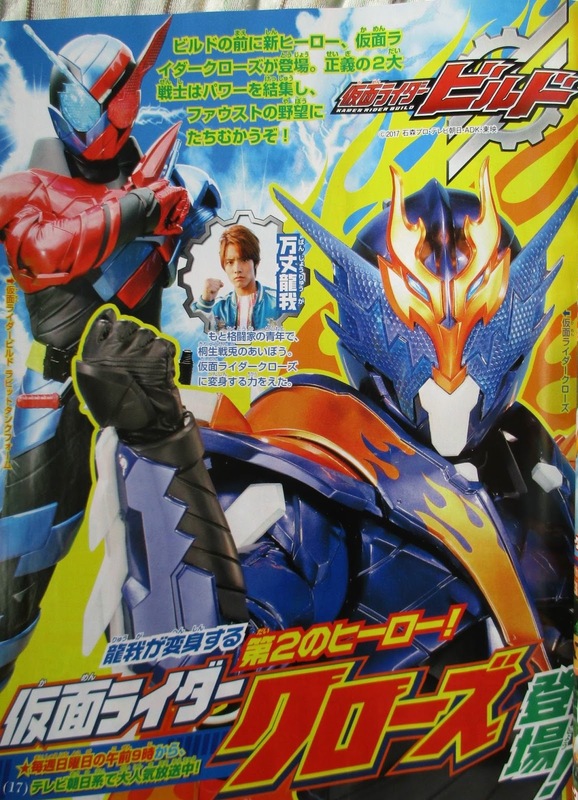 Thanks to the help of the Cross Dragon, the Dragon Full Bottle and a Build Driver, Ryuga can now transform into Kamen Rider Cross-Z! Armed with the Beat Cross-Zer, he is ready to defeat the enemy with his Draconic Finish! 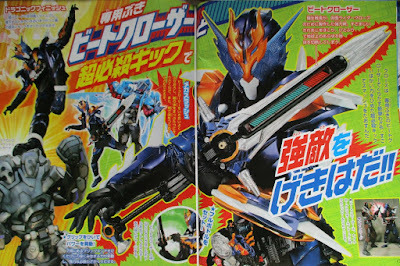 Now, the battle with Night Rouge and Blood Stalk is now on equal footing! 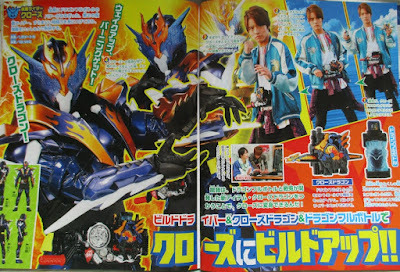 As for Kamen Rider Build himself, he will also acquire 2 new Best Match forms and these are KeyDragon (Key and Dragon Full Bottles) and PirateTrain (Pirate and Train Full Bottles). Looks like November is gonna be a wild month for this amazing duo! 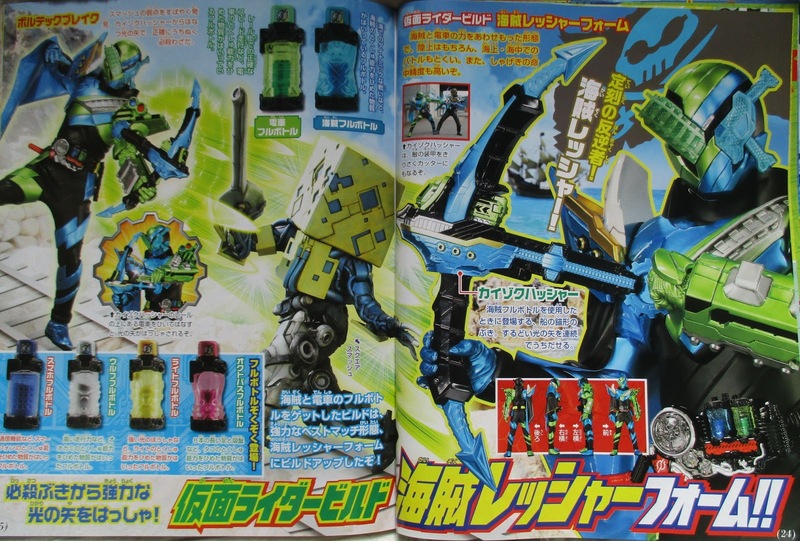 Honestly, Banjou being the dragon KR was obvious from the moment he got his bottle and the anchor/bow thing would've looked cooler as a melee weapon, like a pickaxe or two-headed scythe.